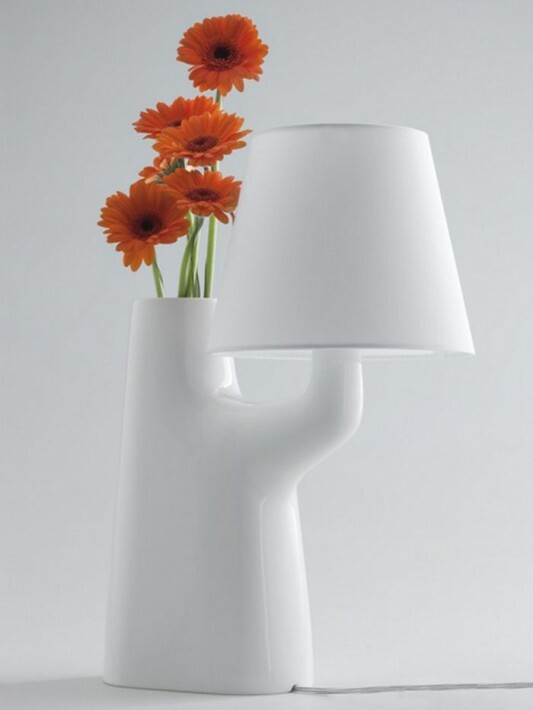 A modern table lamp is beautiful and uniquely combined with a vase of flowers. 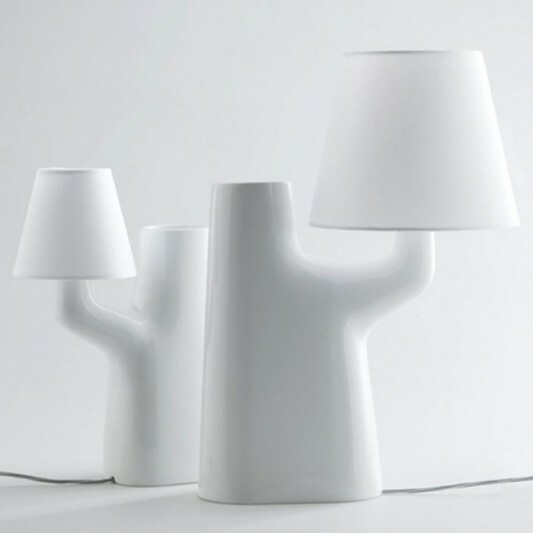 This lamp is entirely made using ceramic materials, designed by Roger Arquer to brand Bosa. 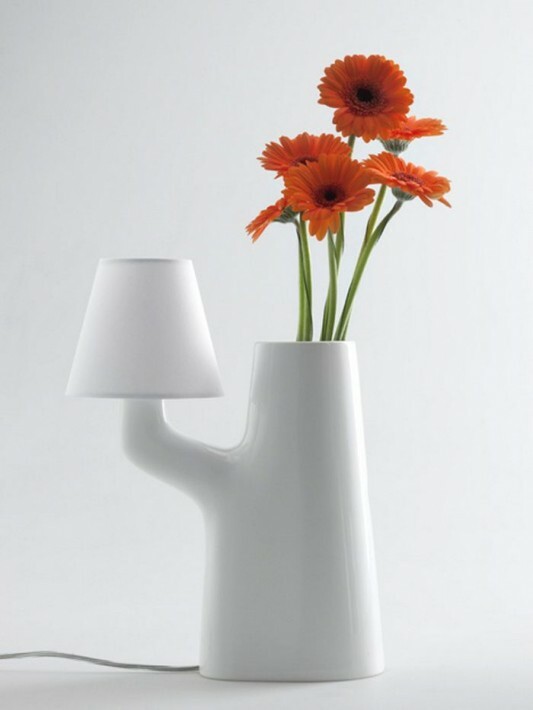 This product is unique, because the lamp with flower has relevance. 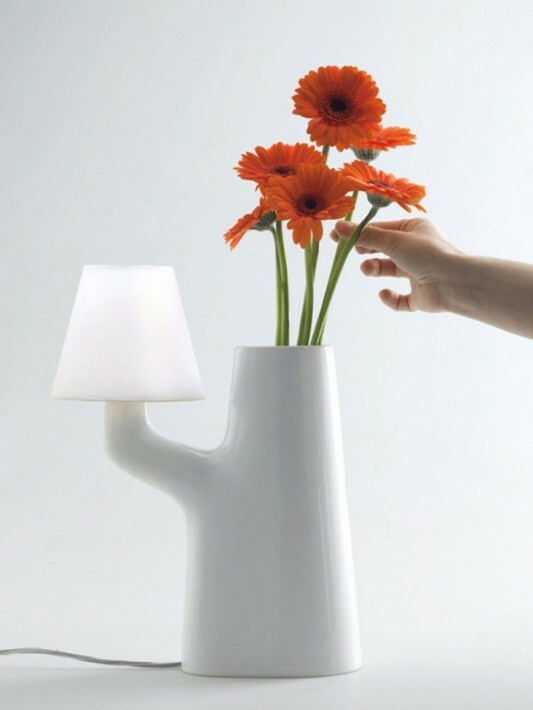 Flowers serve as a switch to turn on and turn off the lights, at the bottom of the lamp and the base of the flower is a hybrid, so that when the flower is touched the lamp will turn on or off it. This product combines the experience of water play with light, which is 100% secure, so you do not have to worry about electric shock when using this product. Touch sensitive technology, with high water content in their interest conductive and sensitive to the touch. 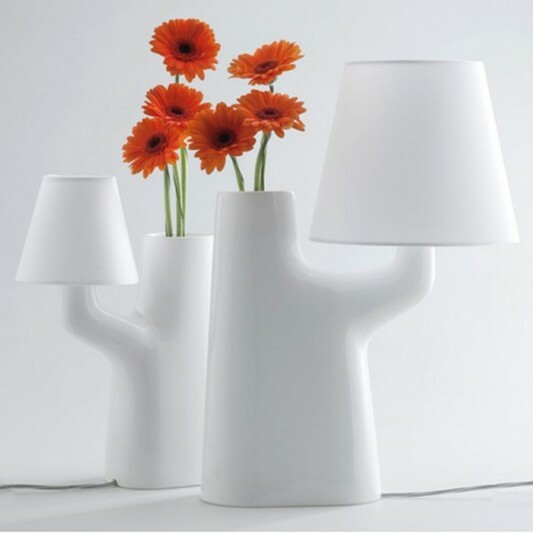 With beautiful design and very decorative, modern lighting products this can be placed in the hotel, home or restaurant. 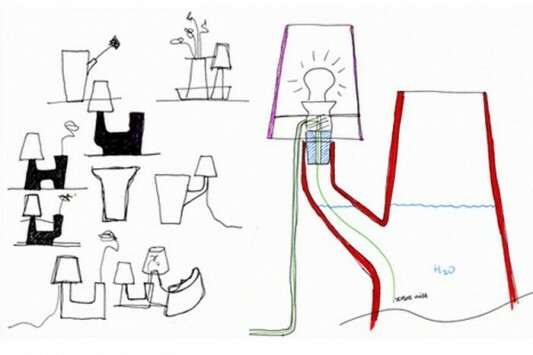 Section lampshade made of fabric, so the dim light radiates a beautiful, used electric power using 12V. For a practicality and treatment, water can also easily be replaced when you need it. Visit Roger Arquer or Bosa For detail information.